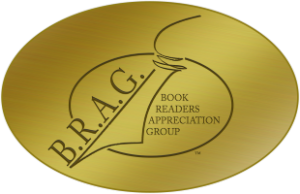 We are proud to announce that HALF SICK OF SHADOWS by Richard Abbott is a B.R.A.G. Medallion Honoree. Half Sick of Shadows, a new novella set at various times in Britain’s history, retells the Arthurian legend of the Lady of Shalott. Available now in Kindle or paperback format at Amazon.co.uk, Amazon.com, Amazon.in, and other global Amazon stores – search by name. 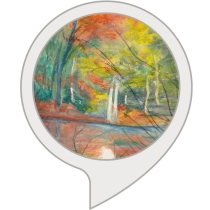 Enable the Alexa skill for Half Sick of Shadows on the UK or US Alexa stores – listen to extracts and hear about the book directly. has always been there. They sense her power, they hear her singing, but they never meet her. sleeps again. But as she grows, this pattern becomes narrow and frustrating. She longs to meet those who cherish her, but she cannot. swallowed up by the past. her people do, when they finally come face to face with a lady of legend who is not at all what they have imagined? A retelling – and metamorphosis – of Tennyson’s Lady of Shalott. Available in Kindle on Amazon.co.uk, Amazon.com, Amazon.in, and other global Amazon stores – search by name. Paperback version available on Amazon.co.uk, Amazon.com or Amazon.in, or at the CreateSpace store: apply special code SHLSL5BY at the checkout for a discount. The Book Depository offer free world-wide delivery in paperback form as another option. Vote on The People’s Book Awards. 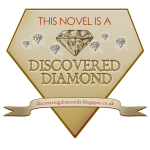 Listed on Books Go Social and Wattpad. Cover image © copyright by permission Mary Abbott. Original Matteh Publications logo drawn by Jackie Morgan.